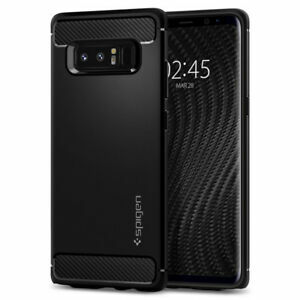 spigen_inc has no other items for sale. There are 263 items available. Please enter a number less than or equal to 263. Sales tax may apply when shipping to: AL(8.0%), AZ(8.19%), CA(8.595%), CO*(7.922%), DC*(6.0%), FL*(7.2%), GA*(7.78%), HI*(4.5%), IL*(8.65%), IN*(7.0%), IA*, KS*(8.87%), KY*(6.0%), LA(9.32%), ME*(5.5%), MD(6.0%), MA(6.25%), MI*(6.0%), MN*, MS*(7.2%), NE*(7.0%), NV(8.256%), NJ*(6.625%), NY*(8.5%), NC*(7.1%), ND*(7.25%), OH*(7.3%), OK(8.512%), PA*(6.6%), RI*(7.0%), SC*(8.2%), SD*(6.5%), TN*(9.3%), TX*(8.25%), UT*(7.04%), VT*(6.6%), VA(5.86%), WA*, WV*(6.8%), WI*(5.44%), WY(5.4%). ## FOR INTERNATIONAL BUYERS## The recipient of the order will be responsible for any import duties or taxes charged by the recipient's country and any carrier-related fees. These fees can vary widely from country to country. Excellent. I'm happy with my cover for Samsung Note 8. Have been using this Spigen case for every phone I have used for last 5 Years. This one also did not disappoint..
Best cover ever, love it!!! Fits my phone perfectly. Nice slim case.